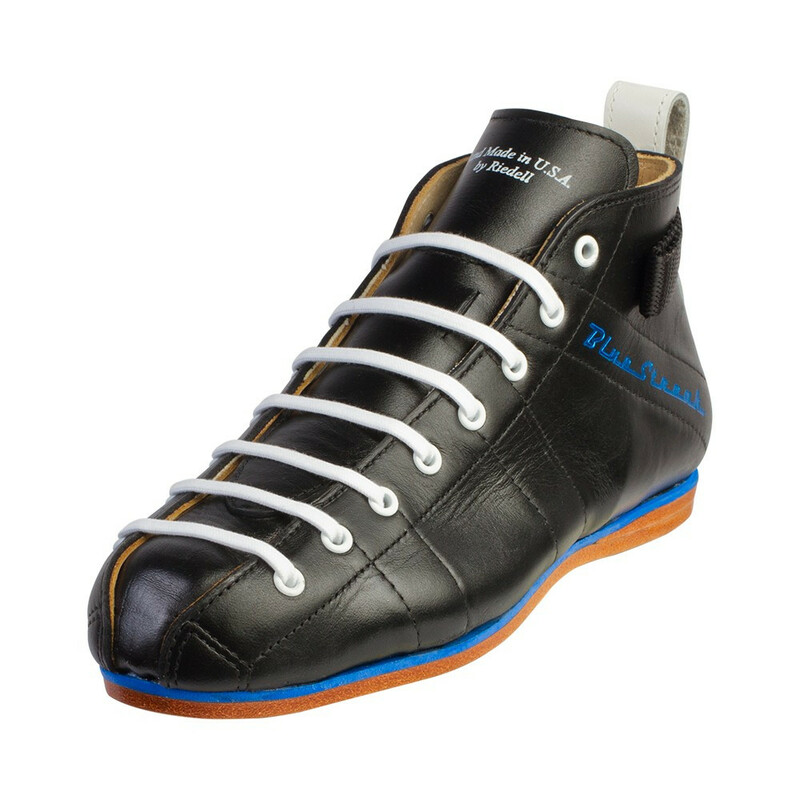 The Riedell Blue Streak boot is a game-changer in the roller derby world. Sporting soft, break-in friendly Kango-Tan leather uppers and tongue, the boot is lined with full-grain Chinook leather and features a uniquely designed slip-preventing tongue that is lined with thin foam covered by plush shearling. A durable nylon snug tie helps secure your heel while the trademarked blue EVA foam midsole provides shock absorption and cushioning. Product available only on order if available in our dealer stock.